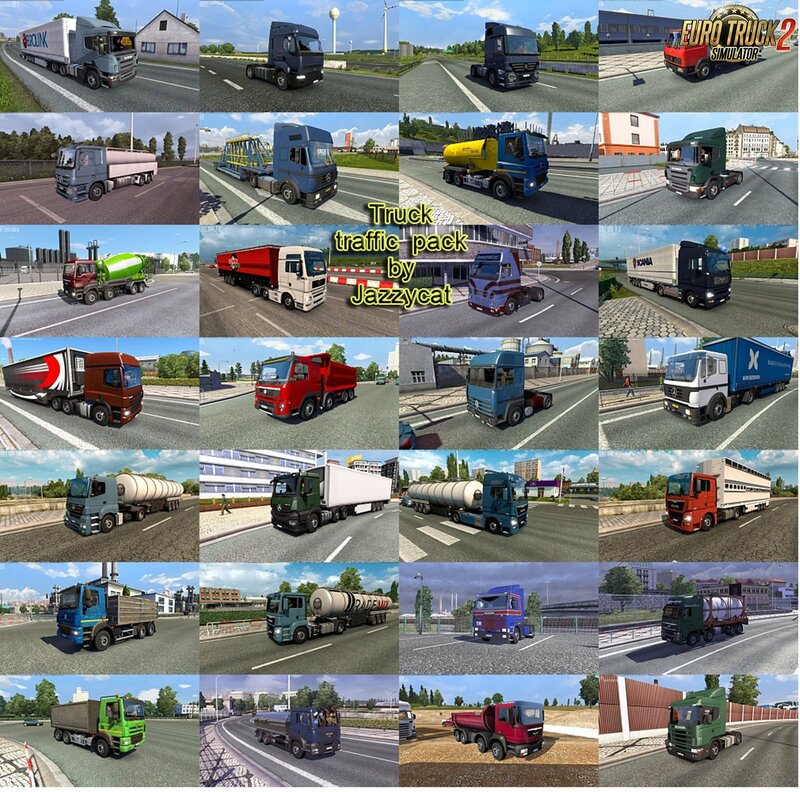 Truck Traffic Pack v3.1.2 by Jazzycat (1.32.x) for Euro Truck Simulator 2 game. - changed spawn frequency for some trucks in Balkan countries. This pack adds in traffic 93 trucks and BDF's. Kerax, Major, C280, various variants of bdf’s and special trucks).